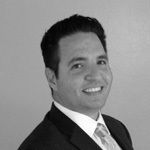 Why A Practice Valuation Is Important When Selling? 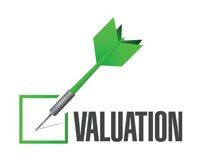 Whay A Practice Valuation Is Important When Selling? Over the years, you have invested so much into building a thriving practice---generating new patients, treating patients, managing and training staff on top of your professional education requirements. Building your practice has been one heck of a rollercoaster ride and there is no substitute for the exhilaration and satisfaction of that experience. There comes a time during a practices life cycle that a doctor starts to think about enjoying other aspects of life, maybe spending more time with family and friends, travelling, or perfecting that swing. Often enough, at some point in your career, you will ask yourself is now the time I should consider selling? Just as there were unexpected turns along the way of building your practice, there is no obvious "right way" to sell it. However, there are basic steps every seller should take as part of the preparation process. The first is conducting a proper practice valuation. What TO sell your practice for? If you want to know what your practice is worth, then you will need a practice valuation. Valuations help owners see the full economic value of their practice. Your practice is your baby and sometimes it takes outside eyes to determine the true value. When you spend most of your working days inside the business it is easy to inaccurately value the entire operation and it can be difficult to identify opportunities for improvement. A good practice broker like 1st Med Transitions can help identify these opportunities before the sale to determine the optimal path to take. A broker who has experience and specializes in medical practice sales will save you a lot of money, headaches and stress. This industry-specific expertise is needed to identify a practice's unique value elements such as owner compensation, employee salaries, nonessential or nonrecurring expenses, and market demographics. Understanding these factors is essential in determining the current and potential future value of your practice. How Does it help the buyer? A practice valuation can be a great tool to utilize in selling your clinic. Having a professional valuation to share with prospective buyers c an support the asking price and allow for a smoother negotiation process. A buyer wants to make sure that he is striking a good balance between paying a fair price for the practice and making a solid investment. Having a professional practice valuation completed allows the buyer to see a professionals opinion and can calm purchase anxiety. How does it help the seller? Once these four methods are calculated, they are averaged using a weighted formula. A good practice broker will have a Certified Valuation Analyst on staff in order to produce the most accurate valuation and correctly weigh the different methods against each other. Remember that your practice is a great asset that you have built over the years. Many times, it could be the largest asset in your investment portfolio. It is important to have an accurate picture of it's value. Forming a relationship with a good practice broker like 1st Med Transitions is a great idea and will help you keep tabs on the current value of your practice. Doctors who work with industry-specific practice brokers will understand the actual market value of their practice and how to maximize that value before the sale.